There i changed the wording already a bit. But your corrections are good. And we can add it to the final version once we got feedback from the Finanzamt. Looking beyond the current "take, make and dispose” extractive industrial model, the circular economy is restorative and regenerative by design. Relying on system-wide innovation, it aims to redefine products and services to design waste out, while minimising negative impacts. Underpinned by a transition to renewable energy sources, the circular model builds economic, natural and social capital. As one of the reasons to create our own definition was that we did not like the one by the EMF … how is the new one? Better, but I prefer our definition, we can adapt it to include people, but I insist that we use sustainable and synergy/symbiosis. If we are to use somebody else’s definition, let’s choose some other organization, non-corporate based. The circular economy is a new economic model for addressing human needs and fairly distributing resources without undermining the functioning of the biosphere or crossing any planetary boundaries. Here are some thoughts and ideas on the definition. Written already in the shape of a blogpost. The text is also in my blog where it is much easier to read (better formatting). META: The headlines are a summary or very short version. A suggestion for new definition is between large green bars in the second half of the text. 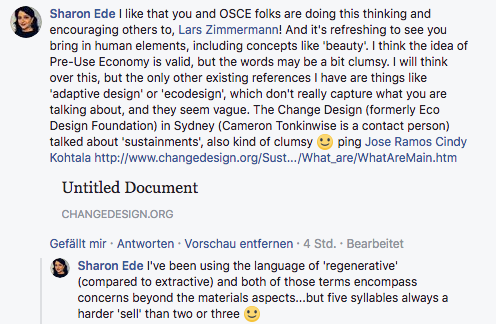 The OSCEdays Stewards are looking into creating a new definition for “Circular Economy” to build a base for the future. I was put in charge to push this project. And while I was on it I had some insights. #The existing definitions do not reflect what we want. Why do we want a new definition? Because we were not happy with the existing ones – provided by the Ellen MacArthur Foundation for example. They lack statements about sustainability and do not include social factors. They don’t represent what we want to work/fight for. I think we should be clear, that the world and humanity can survive without a circular economy or sustainability. Sure, likely the planet will be much darker. But humans are good at getting used to things. And happy moments are possible even in weird circumstances. So it is not about “survival”. But what we are for? We like a nature and biosphere that is rich in structure. What is alive in species and biotopes today we want to see alive also in the future. Free and abundant! We are not afraid of complexity. And we think that being respectful, humble, open, caring and enabling to the things around us is key to this No 1. We want a tolerant plural society in which humans can feel save and express themselves freely in a growing, complex, sustainable world. The second point – being humble and caring – is a logical consequence of the first one – preserve diversity. The third one just restates number one and two for society. The sentence might not be too good. But it is clear: It is about caring, thinking ahead (about consequences) and try not to undermine the ability to exist for all things on earth. And existing means to be able to develop. #But What We Want is not necessarily best called “Circular” Economy. But let’s step back for a moment and admit that with this we are creating maybe more a mission or vision statement than a definition. (Update: This is also true for the great CE definition of Metabolic ) And: If you agree so far – at least mostly – you have to admit: It does not make too much sense to call this “circular”. Creation, Use 1, Use 2, Trash. 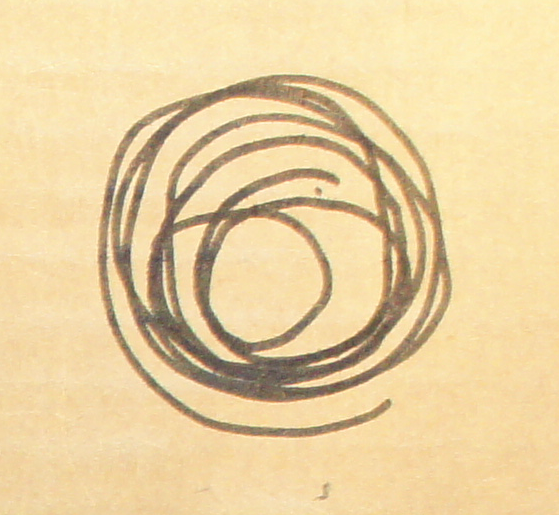 One loop is already a “circle”. And this circle indeed implies that the product arrives at the same point twice – the same facility or company. And this would really be about the consolidation of ownership, control and power of existing companies. And it is not difficult to argue that this is not necessarily about sustainability and enabling more diversity. Is “circular economy” really the right term to express a vision of an enriched world? #We should continue to say “Circular Economy”. Stay with me for a moment in the argument. 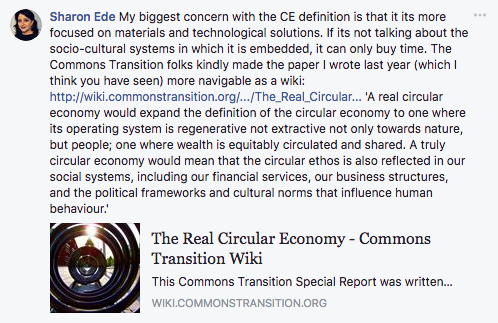 I will not end with suggesting to discard “Circular Economy” and replace it with a new term. This would not be smart! Establishing a new term is hard, unlikely and time, energy and resource intense. We would exclude ourselves from the existing and emerging political and economic debates around “Circular Economy” where change might become possible. We should rather continue to “hack into” those debates. Also it would be wasteful itself to throw away all the work that has gone into establishing “circular economy” and not try to work with it. #But take a moment to understand that “Spiral” or something like it is/could be better. One idea for a better term to grasp what we want could be “spiral economy”. @Grit posted that idea on the OSCEdays forum quoting Tomas Diez and also people from Fablab Berlin used it when they told me about the Fab City project. A quick Google search brought this article by 100%Open up. 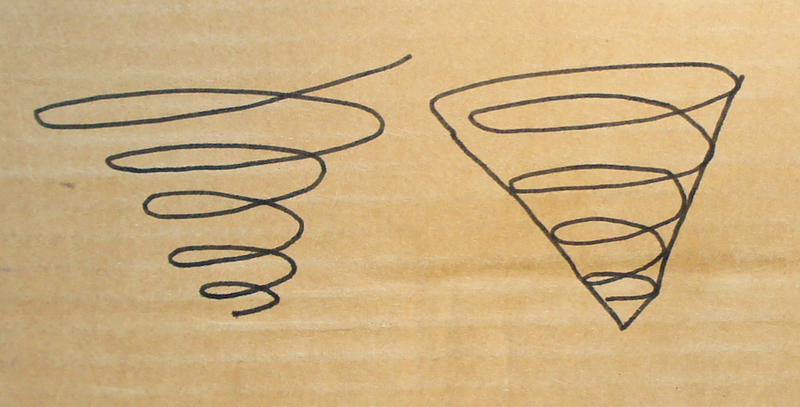 A spiral (or funnel) could better express that ideally each activity in the system increases the number of possibilities for everything after. There is constant change and iteration – to the better. Each action increases the number of possibilities for all actors in the system. Something like this could be very inspiring! If you think about something “circular” it does not sound like too much fun. It sounds like you have the same amount of things you had before. But “spiral” means you have more afterwards! This is probably more appealing to larger audiences! Mainstreamy! But “spiral” doesn’t work too good either. It is not really catchy. Or logical. What is the “line” in the spiral? It is even less self explanatory than “circular economy”. It is not the poster child for a successful marketing campaign. How to express the idea of growing options that do not harm existing options visually? Or even in words? I don’t know. This one is not doing the job either – But it would be great to have something that expresses the core idea: Do only something where you have a at least more than 2 or X good ideas what happens next with it. Always! The term “Circular” economy isn’t perfect. But we would need a term that is magnitudes better in expressing our “idea of beauty” to make it worth wile and a probable success to push for a change. And it would be stupid to make the whole field more complicated with another term. 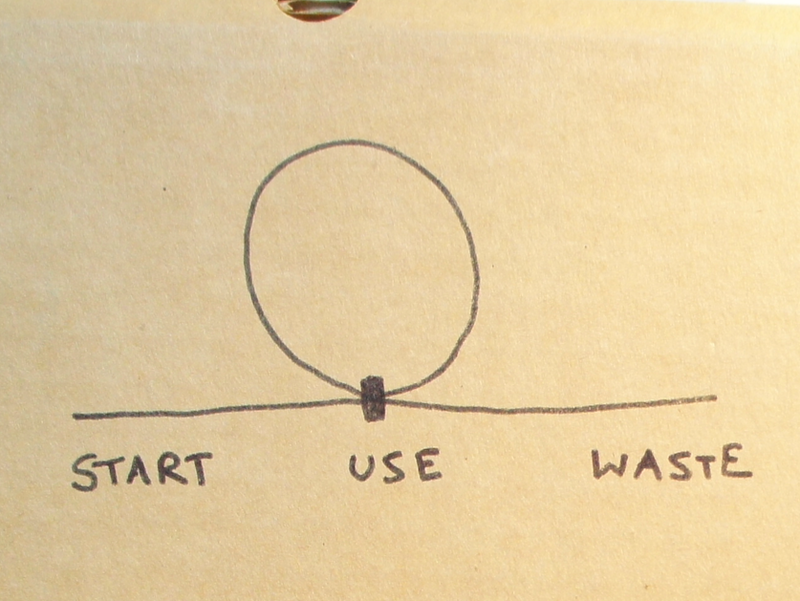 So let’s stick with “circular” and try to load our ideas as meaning into it. #So let’s Define our “Circular” Economy like a “Spiral” Economy. If you look at this picture one more time (the circle with just one loop). This is not a circular “economy”! It is a circular process! Or rather a circular step in an otherwise linear process. An “economy” is something other than a single process. It is an immeasurable high number of processes that are dynamically intertwined with each other to an unbelievable degree of complexity! There is change all the time. In a dynamic environment how to make sure that one process will be able to close a loop? You have to make it fit to connect to as many other processes as possible – so it get’s at least likely an actual loop is realized! 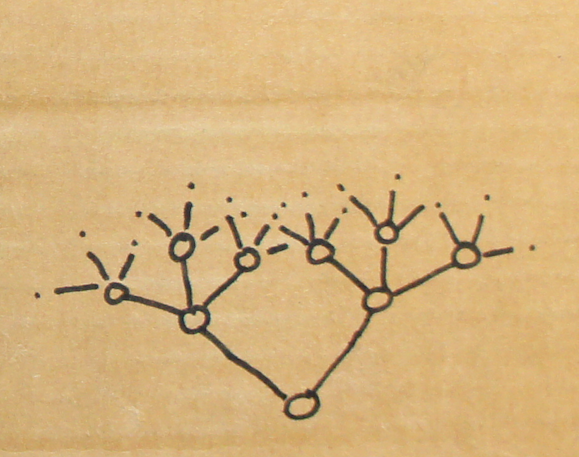 The more connection options a process has the more likely it is that a connection can be found. If your output is “oxygen” you will be fine. 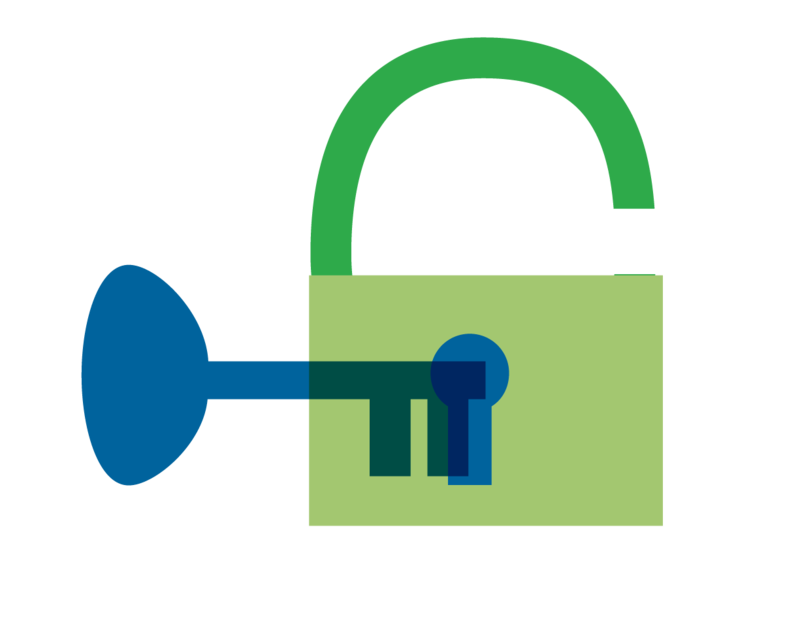 And one strategy to make it likely that your process finds another one to connect is not to destroy other processes or systems – because this would undermine unexpected use®s. Add. Don’t take away. And another strategy is of course Open Source – as it provides the information necessary to find a process and the legal opportunity to use it. A Circular Economy is an economy where systems are designed in order to let the possibilities for as many other systems grow as possible – short and long term (biological and technical systems). open source collaboration (or transparency). The list is something to debate and the structure and language needs to be polished up, yes. But how about the general spin? Could it work? Let people have this understanding when they think about “Circular Economy”. A part of my brain of course still thinks about an alternative word for “circular”. I have another idea. I don’t advocate for it (it did not feel like a Eureka moment). But I still want to share it – because it is interesting! 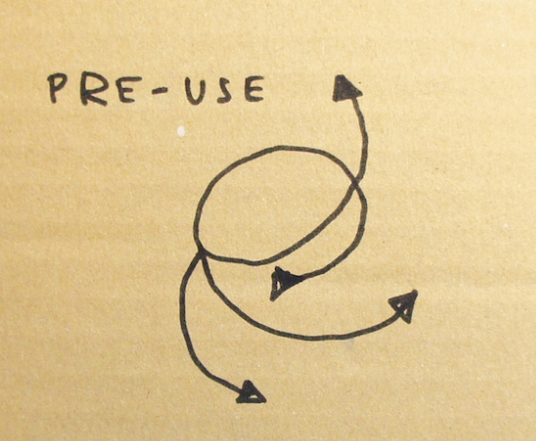 The best replacement word I found so far is “Pre-Use” – The Pre-Use Economy. This is probably why I am so enthusiastic about the term ever since I heard it. It expresses the whole idea that you should have at least one other idea about an alternative future “use” of something before you start using it that is not throw it into the garbage. Pre-Use invites complexity and to think ahead and to think about others (because why should you be the one doing the next use?) It is a basic operation that can be spread to everything: You pre-use the planet and nature! ###Don’t do anything before you don’t have at least 3 positive ideas about what happens afterwards with it. ° The techniques and tools from the definition above would help to discover these 3 positive uses. All the above will be a perfect introduction to our upcoming OSCE Guide to be published in 2018. I want to see this project through. Great work Lars, this clearly has some key concepts we should hash out. I can’t offer a better definition right now but will mull on all this. Seeing the circular economy as 'recycling on steroids' misses out on the most powerful aspects of the vision, and its potential to transform the way our economy works. Here are a few of the most tempting misconceptions to avoid. One more time Sharon, drilling on words. In a Circular Economy, systems are designed to provide the potential for as many other systems as possible to grow – in the short and long term (biological and technical systems). A circular economy aims at maintaining our resources, such as materials, land and soil, at a high quality level while rendering the services we need to fulfill our current and future needs. This can be achieved by reorganising production/consumption patterns and value chains so that resources do not get wasted, rather get replenished and restored.